Cotton candy appeared more than five hundred years ago. 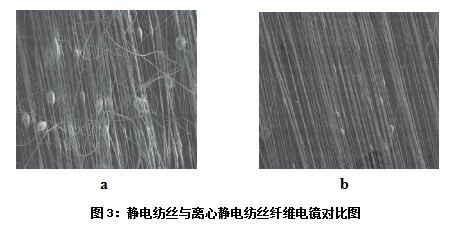 Its producing technology developed into centrifugal spinning, which is a new method to produce nanofibers. This method has high production efficiency and can spin diverse materials. At the same time, it overcomes some limitations of electrospinning. This paper reviewed the progress of the centrifugal spinning, presented the mechanism of the spinning method and centrifugal electrospinning. 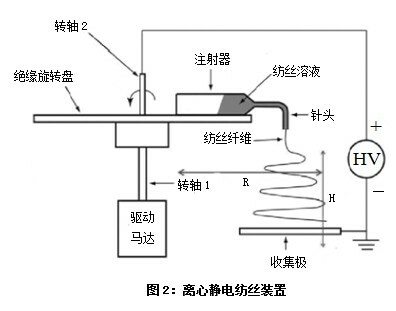 Then, the factors impacting the quality and production of fibers of centrifugal spinning was summarized and analyzed. This article will promote the in-depth study on centrifugal electrospinning and its industrialization process. 芦长椿. 聚合物纳米纤维技术与快速拓展的市场[J]: 合成纤维, 2012, 41(5), 22-26. 郝明磊, 郭建生. 国内外静电纺丝技术的研究进展[J]: 纺织导报, 2013, 1, 58-60. 蔡倩. 利益是由潜能带来的[N]. 中国纺织报, 2012-10-25 (03). 陈观福寿. 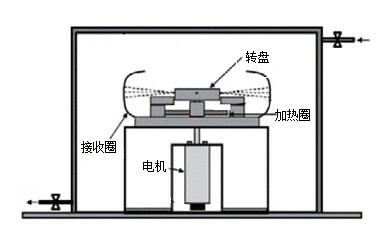 纳米纤维制备及其应用研究[J]: 新材料产业, 2011, 4, 36-41. Hooper J P. Centrifugal spinneret: US, 1500931[P]. 1924-07-08. Keuchel, Herbert W. Method and apparatus for providing centrifugal fiber spinning coupled with extrusion: EP, 0168817[P]. 1986-01-22. 章培标, 陈学思, 崔立国, 等. 熔体和溶液离心纺丝制备非织造物的装置: 中国专利, 101220544[P], 2008-07-16. Lozano K, Sarkar K. Superfine fiber creating spinneret and uses thereof: US,0280207[P], 2009-11-12. Sarkar K, Gomez C, Zambrano S, etal. Electrospinning to Forcespinning[J]: materials today, 2010,13(11), 12-14. Padron S, Fuentes A, Caruntu D, etal. Experimental study of nanofiber production through forcespinning[J]: Journal of applied physics, 2013, 113(2), 024318. Raghavan B, Soto H, Lozano K. Fabrication of Melt Spun Polypropylene Nanofibers by Forcespinning[J]: Journal of Engineered Fibers and Fabrics, 2013, 8(1), 52-60. Vazquez B, Vasquez H, Lozano K. Preparation and Characterization of Polyvinylidene Fluoride Nanoﬁbrous Membranes by Forcespinning[J]: Polymer Engineering and Science, 2012, 52(10), 2260-2265. Padron S, Patlan R, Gutierrez J, et al. Production and characterization of hybrid BEH-PPV/PEO conjugated polymer nanofibers by forcespinning[J]: Journal of Applied Polymer Science, 2012,125(5),3610-3616. McEachin Z, Lozano K. Production and characterization of polycaprolactone nanofibers via forcespinning technology [J]: Journal of Applied Polymer Science, 2012, 126(2), 473-479. 赵昭. 水平盘式离心旋转成纤系统的设备开发及其产品的实用性研[D]. 上海: 华东师范大学, 2011. 张以群, 谢美然, 赵昭, 等. 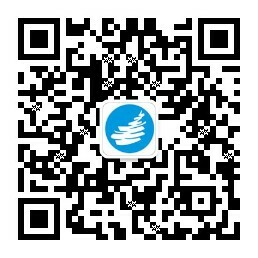 水平盘式旋转离心纺丝法: 中国专利, 102373513[P], 2012-03-14. Asao Oya, Terukazu Sando. Method of Producing Carbon Nanomaterials and Centrifugal Melt Spinning Apparatus. US, 7763228[P], 2010-07-27. Padron S, Patlan R, Gutierrez J, et al. Production and characterization of hybrid BEH-PPV/PEO conjugated polymer nanofibers by forcespinning[J]: Journal of Applied Polymer Science, 2012, 125(5), 3610-3616. 芦长椿. 化纤技术进步与试验设备的发展[J]: 纺织导报, 2012, 1, 52-55. 刘术亮, 黄渊源, 韩玉梅, 等. 离心静电纺丝法制备有序、交叉以及绞线结构的荧光纳米纤维[J]: 青岛大学学报, 2013, 26(1), 44-49. 李世江, 李杰, 张迎晨, 等. 离心式静电纺丝装置: 中国专利,102061530[P], 2011-05-18. 龙云泽, 李蒙蒙, 赵志立, 等. 一种有序排列和交叉结构纳米纤维的制备装置: 中国专利,101857976[P], 2011-06-08. Edmondson D, Cooper A , Jana S , et al. Centrifugal electrospinning of highly aligned polymer nanofibers over a large area[J]: Journal of Materials Chemistry, 2012, 22, 18646–18652.